Jesus Fernando Liera Cruz, a junior at Sierra Vista High School in Baldwin Park, is being honored today by the California Association for Bilingual Education. 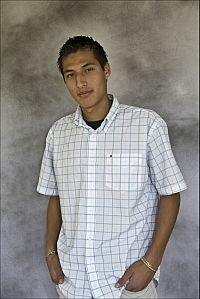 Cruz won the statewide essay contest, earning him a $1,000 scholarship. He will address the association convention at a luncheon in Long Beach. Read excerpts from his essay in the Highlander Newspapers. Incorporated in 1976, the nonprofit group in Covina promotes bilingual education throughout California. The association has 5,000 members in more than 60 chapters.